University Research | The effects of super oxygenated water in high tunnel. "The effects of super oxygenated water in high tunnel plant production." Albert (Bud) Markhart lll passed away in 2012 after a fight with cancer. He was a distinguished advisor to us in this horticulture supplementation research. Dr. Markhart advised to continue increasing yields in the High Tunnel drip irrigation markets of fruits and vegetables, and additionally this science may be ideal to increase yields in the emerging Medical Marijuana industry. 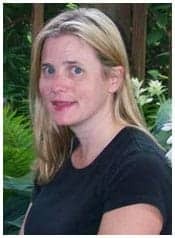 Dr. Amy Fulcher is an Assistant Professor for Sustainable Ornamental Plant Production and Landscape Management in the Department of Plant Sciences. Amy is part of a multi-disciplinary team of UT faculty conducting research on woody ornamentals. Amy’s research focuses on sustainable nursery production, in particular plant water use and efficient irrigation technologies, integrated pest management, and how cultural practices that affect branch architecture and use of technology such as the intelligent spray system influence spray penetration and proper coverage. Amy is also part of a collaboration investigating the use of biocontainers in nursery production. Amy earned a B.S. in Agriculture at Western Kentucky University, a M.S. in Horticultural Science at North Carolina State University, and Ph.D. at the University of Kentucky in Crop Science. Amy is also an ISA Certified Arborist.